Integrity is the foundation upon which we build all our relationships based on respect, honesty, equality, trust, transparency and straight talking. We offer expertise, exceptional service, quality assurance and the utmost dedication in all we do. We recognize and celebrate uniqueness with no ‘one size fits all’ solutions when it comes to the clients we work with. Instead we provide an entirely bespoke service based on your specific needs and goals. Environmental, social and economical; we aim to build a profitable business that will enable us to reinvest in our employees, our stakeholders, our clients, the local community and the environment. We embrace all forms of creativity, ambition, innovation, achievement, risk taking, trail blazing, breaking boundaries, openness, flexibility, embracing & learning from our mistakes and continuous improvement. We take the quality of our work very seriously, but never ourselves, and we always have fun along the way. 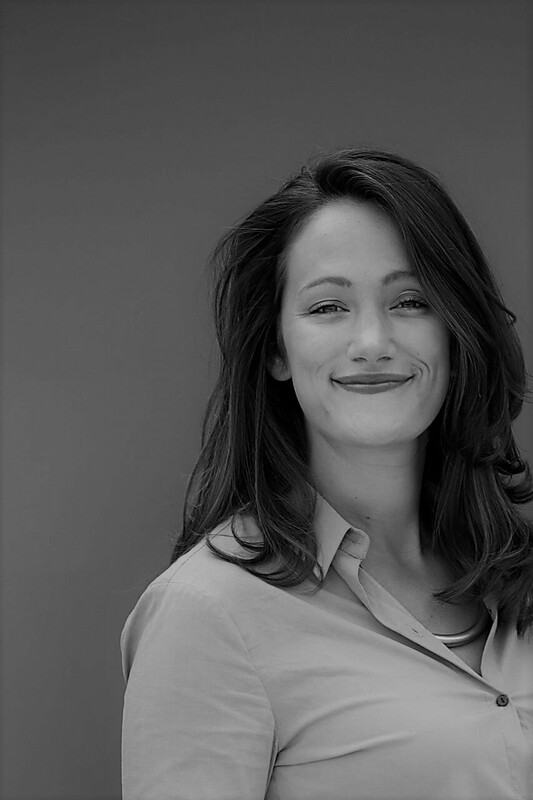 Micaela joins Nimbility from Maison Ferrand, where her previous role as Asia-Pacific Brand Ambassador extended across 12 countries including Singapore and Southeast Asia, South Korea, Japan, and of course Greater China. Micaela was central to building markets in Asia for a portfolio of award-winning artisanal spirits including Plantation Rum, Citadelle Gin, and Cognac Ferrand. Micaela moved to Asia after a successful career in New York City and Miami, where her cocktails were featured in Town & Country Magazine, New York Daily, InStyle.com, and Thrillist. In Miami, Micaela was in charge of staff training and menu creation at the award-winning Sweet Liberty (Tales of the Cocktail Best New American Bar Award 2016 and Tales of the Cocktail Best American High Volume Bar 2017) and previously spent time behind the bar at Saxon & Parole (Tales of the Cocktail Best American Restaurant Bar 2016). Currently Micaela is an editor for JERRY Global - an online learning platform for F&B professionals. She also serves as an international representative for Tales of the Cocktail (2019), stemming from her work as International Co-Chair for The Spirited Awards® of Tales of the Cocktail (2018-2019). She still enjoys the occasional guest shift at some of her favourite bars across Asia! Born and raised in Hong Kong, Janet went to college in Oklahoma in the United States. Before she joined Nimbility she was an U.S. tax consultant. After reading the never-ending U.S. tax laws for a few years, and looking for a new adventure, she started a whole new journey with Nimbility where she heads up Operations, the engine room of the entire company. If our team, our clients, our customers, have problems, Janet comes to the rescue and sorts them! Outside of work, she mostly spends time traveling to difference countries around the world as she loves exploring difference cultures – mainly their food and drink! Born and raised in Paris, Apolline became devoted to wine from an early age, raiding her parents’ last drops under their amused supervision. After a number of very sober years preparing to enter ESSEC Business School, her childhood excitement turned into a more serious passion, and she became President of the school’s Wine Club Elyxir in France and founder of the sister club in Singapore, taking on the crusade to introduce new wines and wine regions to beginners and aficionados alike. Graduating in 2016 Apolline quickly joined the Wine and Spirits industry starting her career in Hong Kong. With marketing and brand building experiences at Pont des Arts and Moët Hennessy Diageo, Apolline worked with wine and spirits brands of all styles, origins and scopes, collaborating with teams from all around the world. All had in common the ambition to land and grow in Asian markets, and Apolline dedicated her time to help them reach their goal. Parallel to this, she passed WSET Level 2 furthering her genuine love for anything related to wine and spirits. Taking her job very seriously even outside the office, Apolline is often seen tasting wine, most preferably Cabernet Franc, and in her honest opinion, nothing beats starting the weekend than with a laidback foot massage topped with a bottle of wine to share with a few friends. Santé! Candace was born and grew up in Shanghai, and attended Donghua University, graduating with hotel management. Her experience spans over 10 years working for international companies in China, mainly as an assistant to the executive management. During that time, Candace was regarded as a top team player and was instrumental in allowing the core leadership teams to excel and perform to their challenging business plans and directives. Candace joined the Nimbility to provide the vital role of Executive Assistant to our CEO. When she is not holding things together in the Shanghai office as per her day job, she enjoys cooking, traveling, playing badminton and practicing yoga. We are building an ace team of industry pros, looking for those to join us in building markets in Asia. If you thrive on creativity, action, and results, then please reach out to join our team!